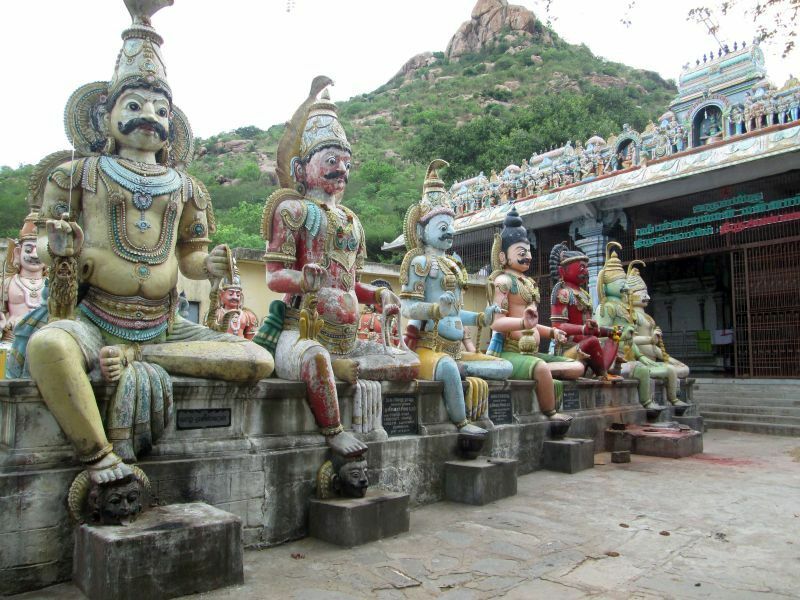 One of the most interesting aspects of the Pachaiamman Temple at Tiruvannamalai is of the 14 magnificient statues set in the front of the Compound. The same statues are represented inside the Artha Mandapam of the Temple. A regional legend of Pachaiamman (an aspect of Parvati) has it that after completing her penance at Kanchi, the Goddess started off for Arunachala. She travelled with 7 Rishis and 7 virgins (Sapta Kanniyars) as part of a protective entourage. Halfway from Kanchi to Arunachala, the entourage stopped and made camp at the village Vazhapanthal. At that place the local king tried to molest the Goddess, and the 7 Rishis became as Muniswarans (guardians) and killed the king. Another story passed down orally for generations is that the Muniswarans were created to protect the Goddess Pachaiamman against seven Arakar Veerars (demonic warriors—Asuras). It is also mentioned that the demons were actually 8 in number. After killing them, Vaal (knife) Muniswaran gave the head of the demons, one to each of his brothers and kept two for himself. The Muniswarans are usually represented as 7 brothers. They are called as Sapta Muniswarans. In the Pachaiamman Compound there are 14 statues of Pachaiamman’s warrior guardians set out in two lines, with two representations of each warrior. Muniswarans are a class of powerful spirits. These spirits are also known as Siva Ganas. They are considered to be servants of Siva and his female half Sakthi. Due to their nature, the Munis are classified as guardian deities. They can be former warriors, kings or sages who achieved the status of a Muniswaran after their human death. 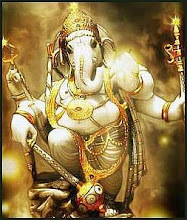 Some of the Muniswarans worshipped were created as Muniswarans and are not of human origin. Muniswarans are worshipped in various ways including tree and stone worship. At Pachaiamman Temple they are worshipped in the form of Statues (Uruvam Vallipadu). According to the Rig Veda, the Muniswarans are trained in various magic arts and believed to be capable of supernatural feats. Since Muniswarans are spirits, it is common to have animal sacrifice as part of the worship. However, animal sacrifice is not done for each Muniswaran. It occurs usually on new moon day. I am pretty sure it is not a Vedic custom to offer animals in sacrifice. I know at the Kali temple near Kolkata animals are offered but it used to be by enlightened gurus and priests who had the powers to release the animals from birth. There is now a movement to stop all animal sacrifice as there are no enlightened beings around to free these animals being sacrificed.... people are just going thru the rituals for the sake of doing so. Hence the movement. Many of the Shakthi Temples in Tamil Nadu have been trying to put a halt to animal sacrifice. But after a lull the nasty practice just keeps coming back. I have heard that several Shakthi Temples in Tiruvannamalai do sacrifice chickens and sometimes goats. Once sacrificed the dead animal is cooked and given off to devotees as prasad. OM ARUNACHALA....SUCH A BEAUTY TO SEE THIS TEMPLE AND THE GRACE OF LORD MUNEESWARAN ..EVERYTIME WHEN I AM THRE ALWAYS MISS VISIT TO THIS TEMPLE,HOPE THIS TIME WILL GO AND BE IN THE BLISS..